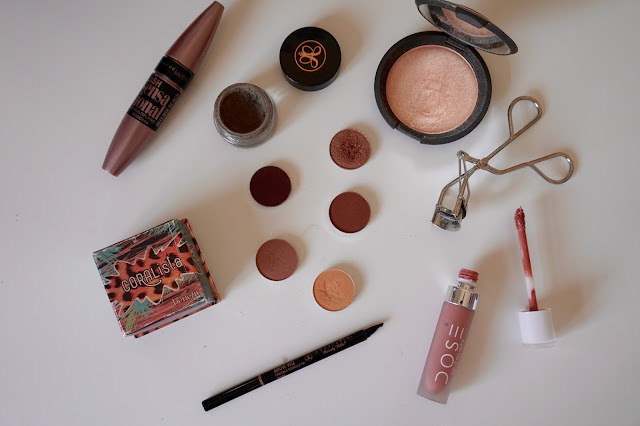 Despite loving these 'products worth the hype' posts, I've never actually done one of these myself, so I thought it was about time to bring together some of my favourite products that are totally worth the hype surrounding them. For complexion, the Coralista blush from Benefit (and pretty much every Benefit blusher) is completely worth the hype! The most beautiful coral shade with a slight gold shimmer that just gives you a lovely glow. I've hit pan on mine - which always shows how much I love it! I'm also obsessed with my Becca x Jaclyn Hill highlighter in Champagne Pop - it honestly lives up to all the hype! You can see my full review here. I remember when it first came out I convinced myself I didn't need it, but as soon as it came to the UK I was all over it and now it's my everyday highlighter! I'm so excited for her next collaboration to come out, as I have no doubt it will be equally amazing. For brows, I really don't use anything but Anastasia Beverly Hills. I have the Brow Wiz and Dip Brow Pomade and I use each one daily - see a (v v old) review here. I can't remember the last time I actually used anything else on my brows! The shade range is fantastic, and Taupe is the perfect colour for blondes as it has no red tones at all so looks completely natural. The Dip Brow is also perfect for getting a really precise brow, and also if you have sparse brows this will be your saviour. Now I just wish the rest of their range (eyeshadows and liquid lipsticks) were available in the UK! For eyes, Makeup Geek eyeshadows really do live up to the huge hype they have all over social media. The best selection of colours I've seen and each one I've tried is phenomenal. I now have 7 shades and they are the most buttery, blendable shadows I've tried - it's amazing that they are less than £5 each! If you don't believe me check out my review with swatches here. A more high end recommendation would be the Shu Uemura eyelash curlers. I've had mine for years and they just do a great job at curling my lashes and making me look a bit more awake! It's not cheap, but it's really the best eyelash curler out there. I then add my Maybelline False Lash Sensational mascara over the top - seriously one of the best high street mascaras out there, and I've just bought my second tube! See my initial review of it here. Finally for lips, the Dose of Colors liquid lipsticks are definitely worth the hype! I have Truffle and Bare With Me (I got both from Beauty Bay - you have to basically stalk the site until they're back in stock! ), and I love them. I wear each every week without fail. Just check out my Instagram for proof! You can see my full review of these with swatches here.